I had this pistol for half a year, and meant to review it for a while, but was constantly distracted by one thing or another. The recent frenzy of gun buying taxing my free time to the limit was not making it any easier. Luckily things are getting quieter (not because the frenzy is over, but because I am more or less sold out of everything :-)), so I could carve a little time to write this review. 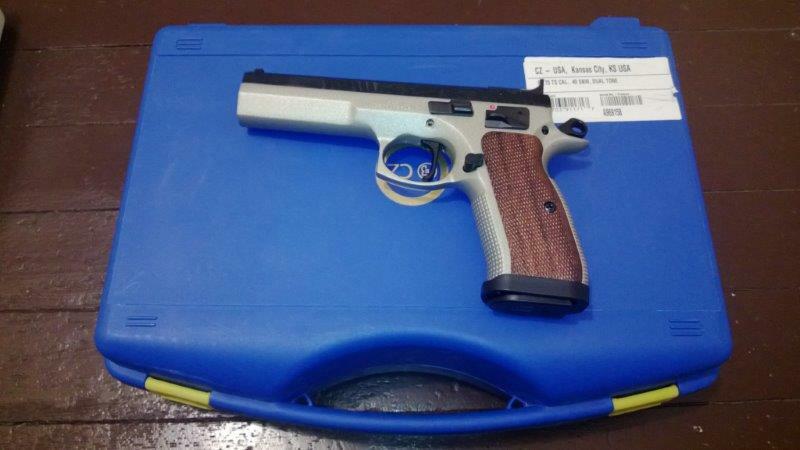 TS is an IPSC standard division pistol out of the box. 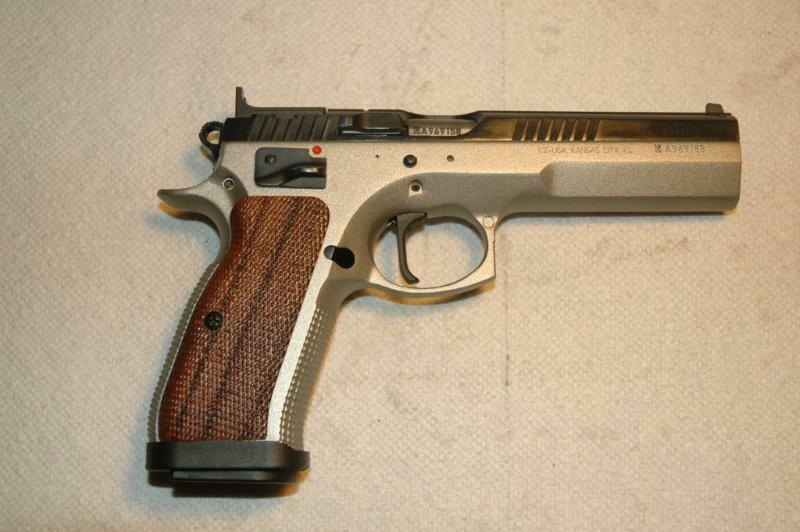 It is made in 2 calibers - 9 and 40, and 40 happens to have a scoring advantage under IPSC rules. Mine is in 40, but not because of ISPC, it is because I like the caliber. Out of the box the finish annoyed me - it was neither black, nor the brushed stainless that come standard on high-end revolvers. Instead the frame and the slide are seemingly coated in something that resembles the paint used on metal fences. I understand the reasoning for it, however. The coating suppresses glare that could interfere with shooting. Eventually I got used to it and no longer consider it ugly. It is a large and heavy pistol. Although it is a 75 design, it has a full dust cover (but, alas, no rail), and a longer 5.4" barrel. 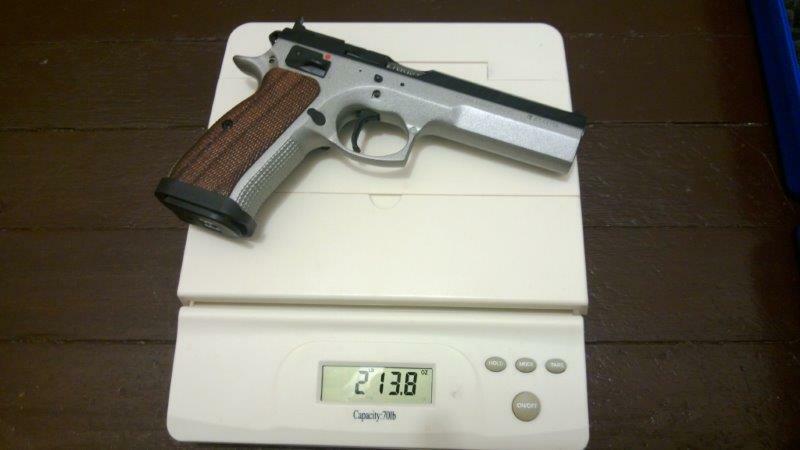 The weight clocks at 46oz, and that's unloaded. Considering that the magazine - it comes with 3 - has a capacity of 16 rounds in 40S&W, the result is that recoil is... not a problem :-). 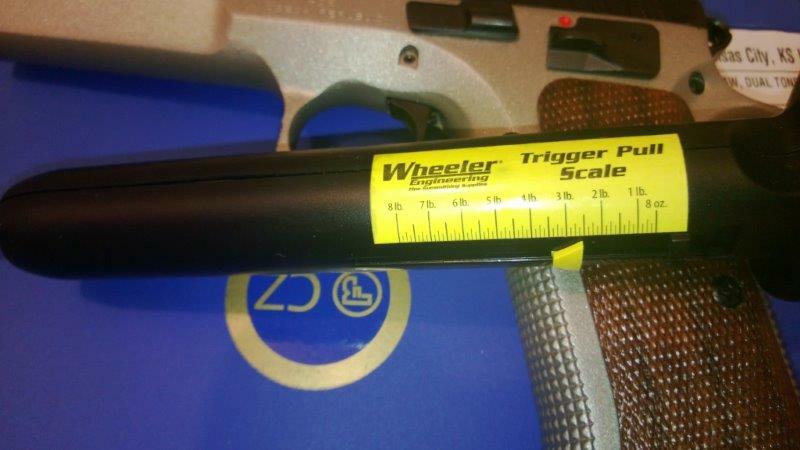 If this sounds as too heavy, let me point out for comparison that Ruger Mark III Target pistol - a 22lr - comes pretty close at 42oz. Large as it is, it comes in a box that is closer in size to a small brief case than to a large pistol box. 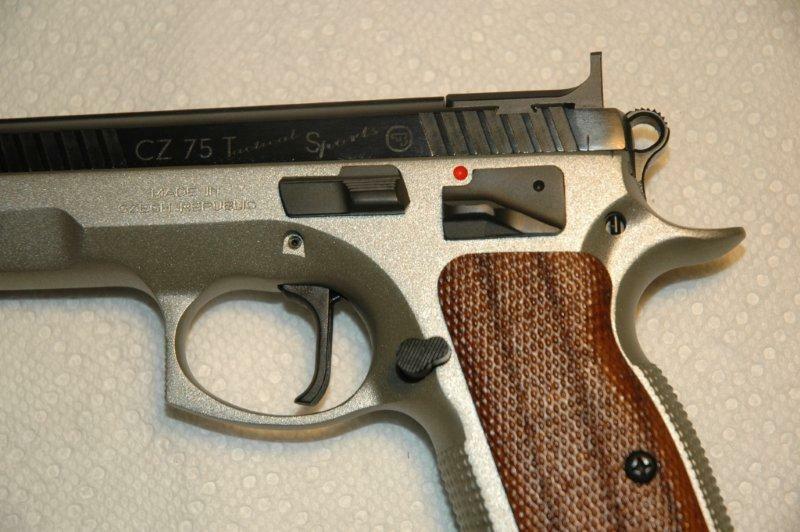 ...and conveniently located controls standard for a CZ 75. 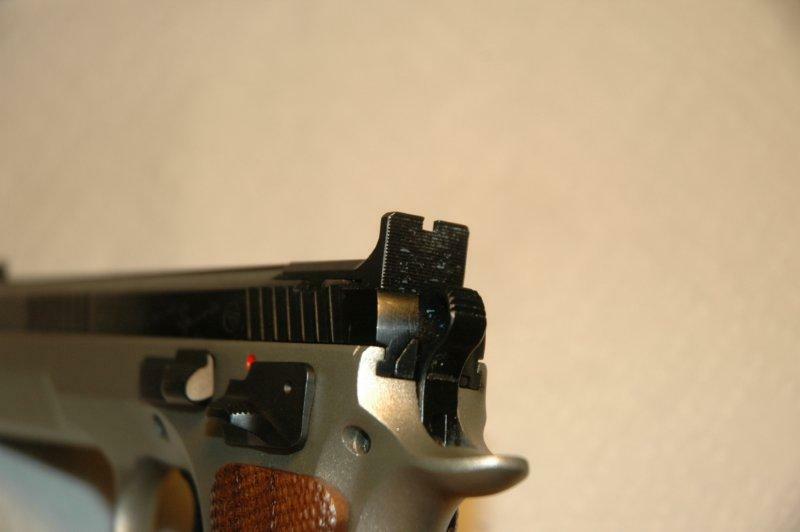 The best feature of the pistol, however, is a crisp trigger breaking at a hair of a pull of 2.5lb. 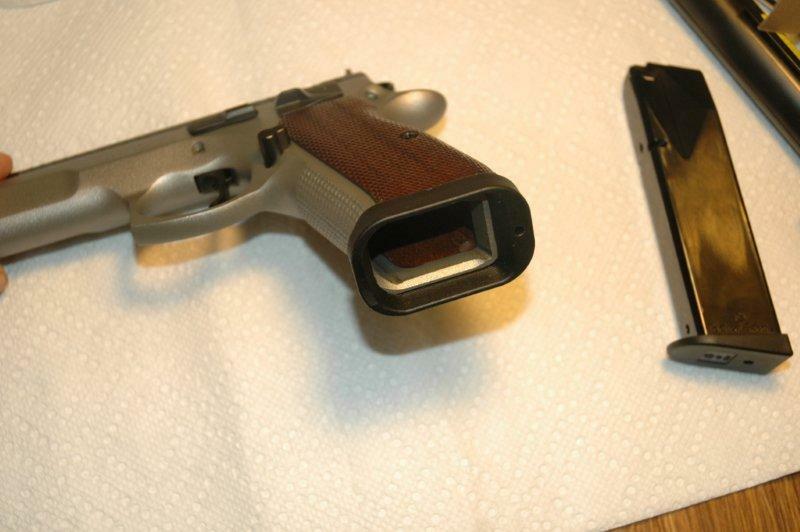 One unfortunate thing about the TS is that it does not have a rail, so one cannot mount a scope on it. 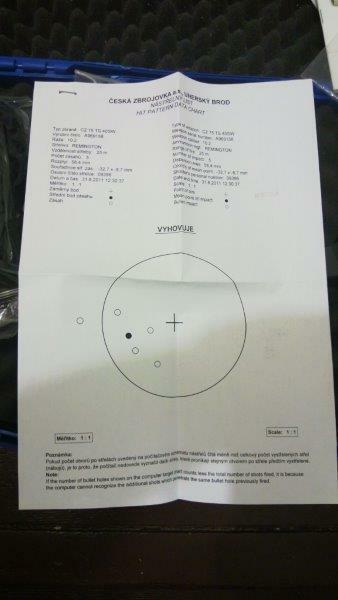 As a result, accuracy testing and load development has to rely on my ability to shoot with the irons, and I am not an Olympic shooter. Nevertheless, here are a few targets. 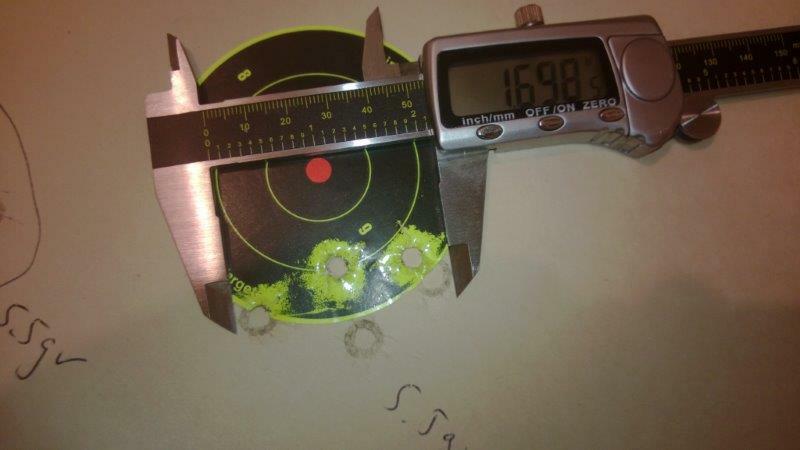 All were shot at 25 yards from supported position. 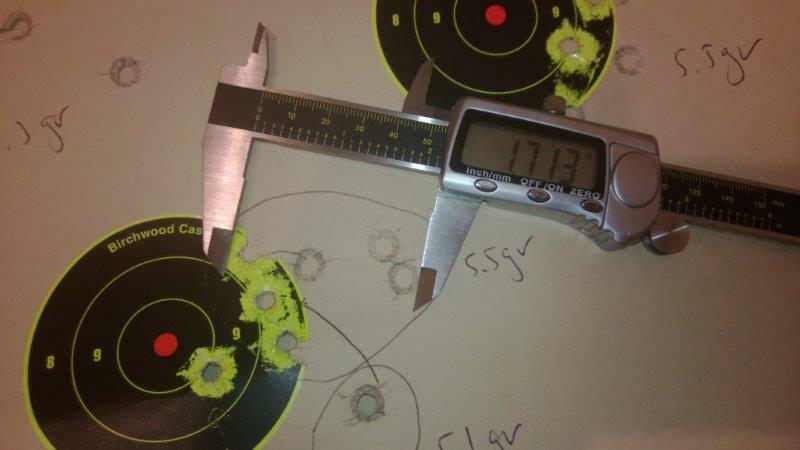 These are 5-shot groups of center-to-center 1.7", 1.7" and 1.9". 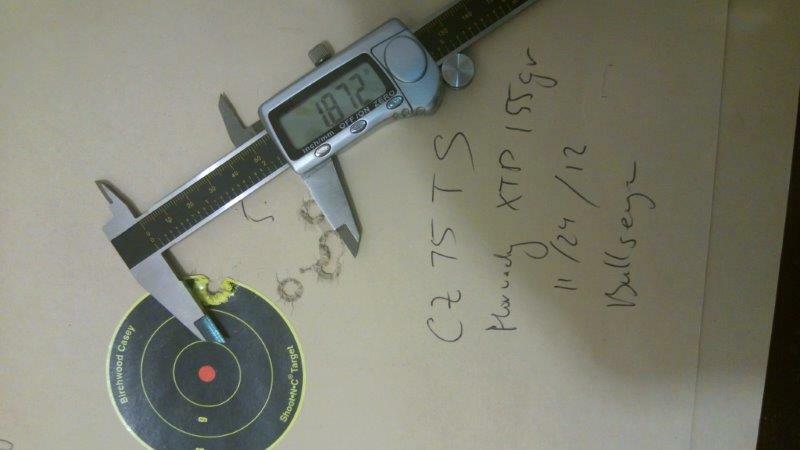 The second target uses 180 gr Hornady HAP bullets and 4.9gr Bullseye load. This is the starter load for this bullet, and I have not yet done the load development for it. The group sizes are, top right to bottom left, 2.2", 2.4", 1.7", 2.8" and 2.6". 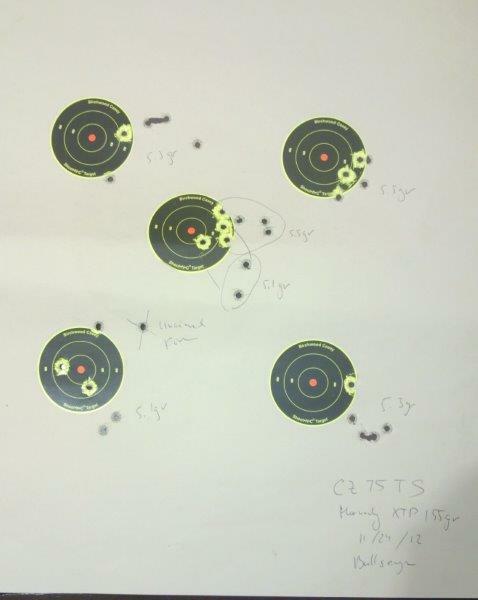 The couple of rounds outside the circled groups is a neighboring shooter incapable of hitting his paper with his Beretta 92fs (believe me, the gun has nothing to do with it!). 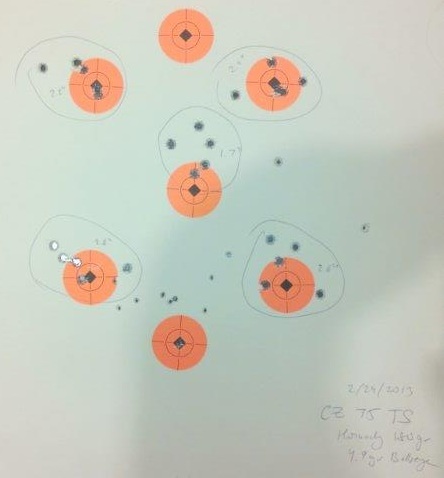 The 22lr holes is me testing a revolver. Given that I typically produce similar groups from a couple of target 22lr pistols - Browning BuckMark and Ruger MKIII - in a similar setting, and these pistols are shooting under 1" groups when shot with a scope, it is reasonable to assume that TS would also shoot 1" or under 5-shot groups if used with an optic. 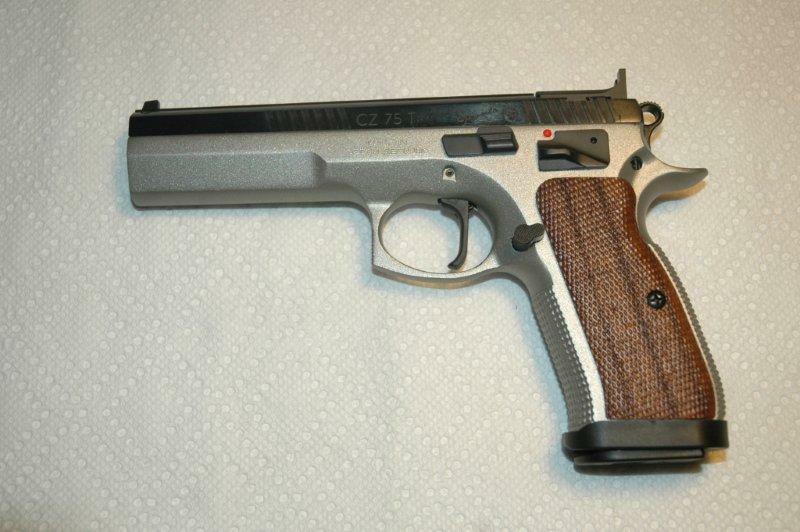 Needless to say, for 99% of the people I see on the range, this pistol will not be a limitation. With street prices around $1200, this gun is on the expensive side, but it produces results that seem to be the same as Les Baers at roughly 2/3 of the price. 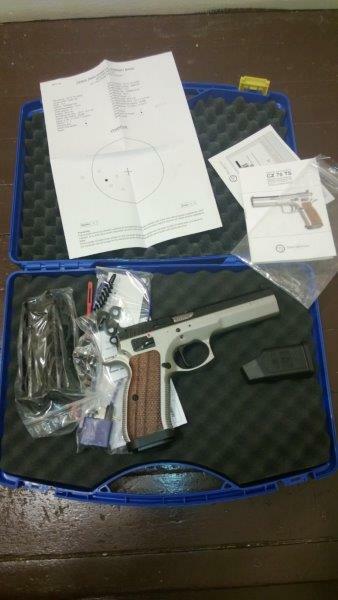 If you like accurate guns and can get your hands on one, it is certainly a gun worth having.